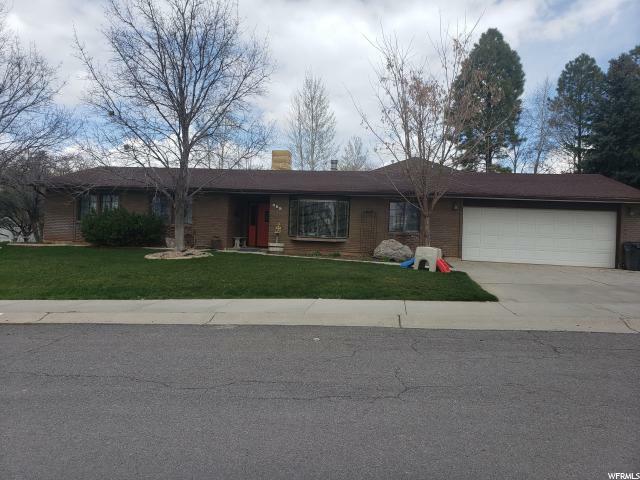 All Nephi homes currently listed for sale in Nephi as of 04/20/2019 are shown below. You can change the search criteria at any time by pressing the 'Change Search' button below. 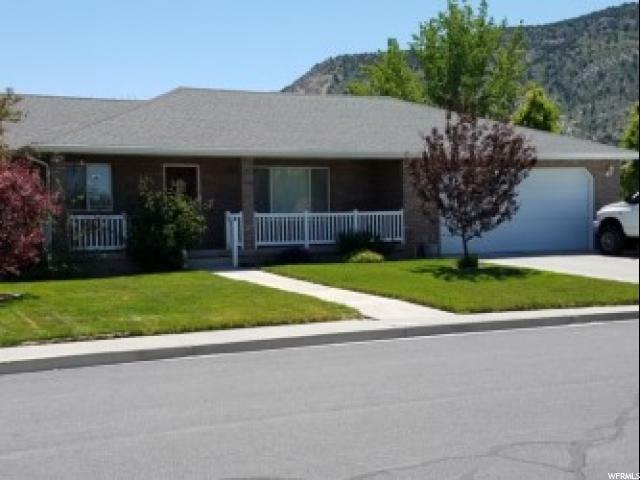 If you have any questions or you would like more information about any Nephi homes for sale or other Nephi real estate, please contact us and one of our knowledgeable Nephi REALTORS® would be pleased to assist you. 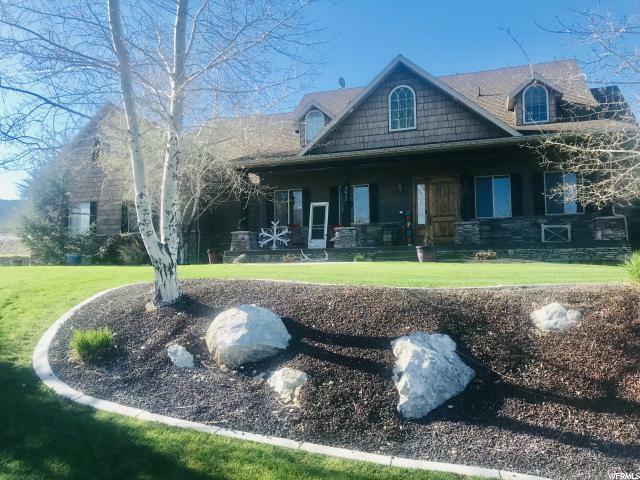 "Stunning home on .88 of an acre in a prime location. 6400 sq ft with 6 bedrooms and 4 bathrooms. Shiplap walls. Custom made barn door. 10 ft ceilings and 8ft Knotty Alder doors on main floor. Beautifully landscaped yard with mature trees that line the property and in the landscaping. Amazing kitchen with 3 tone cabinets and solid surface counter tops and new gas range and refrigerator. 2nd floor houses 3 bedrooms, one of which is another master suite and 2 bathrooms with a large family/game room. Audio system throughout house. Heated garage Private, partially covered patio has a fire pit and outdoor bar. 12x24 shed on concrete floor. Large front porch with amazing views. Come see this amazing open floor plan. 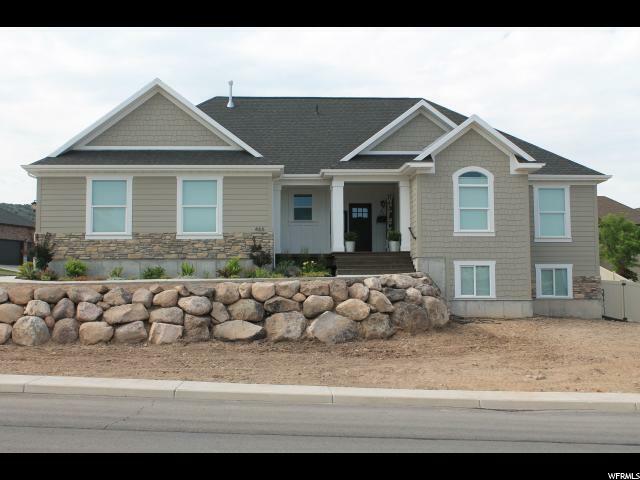 Owner/Agent"
"Amazing 6 bedroom, 3.5 bathroom home with many upgrades. Open concept living with beautiful kitchen, hardword floors and fireplace. Upstairs has bedrooms, bonus room and fun playrooms for the kids! Basement has a beautiful theater room, kitchen area, exercise room (could be a bedroom), 2 bedrooms and storage. Great yard! This home is one you have to see to appreciate the details!" "Beautiful home built in 2017. Granite counters in kitchen, large granite island, open floor plan, knotty alder cabinets, wood grain tile in kitchen, bathrooms and hallways, top grade carpet in living room and bedrooms, stainless steel LG appliances, farmhouse sink, walk in pantry, french doors with in-glass blinds to back patio, two tone paint, painted 2 & 1/2 car garage (easily fits three vehicles), tankless water heater, moen plumbing fixtures, large master suite featuring large walk in closet, over sized soaker bath tub, over sized walk in shower with rainfall and standard shower heads, large laundry room with direct entrance from garage, large bedrooms, large hall linen closet, custom lit stairwell, custom wood-look blinds, custom kitchen lighting. Spacious unfinished basement with large concrete cold storage. Stunning custom hand made solid wood front door. Must see!" 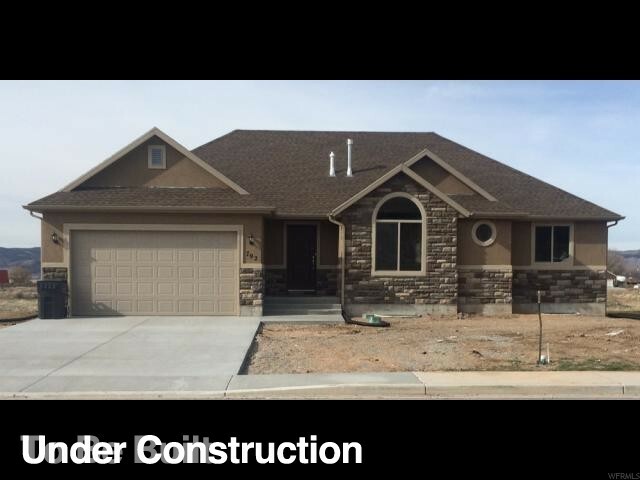 "This gorgeous home is move in ready. The open floor plan creates a flow through the kitchen, breakfast nook, and living area. The master bedroom is complete with walk-in closet and private bath. Laundry is conveniently located on main floor with the 3 bedrooms. Glass door walk out to the covered deck and back lawn with a built in gas fire pit, great for summer entertaining. The walkout basement is 65% finished with plans for large living area, sizable storage area, 2 bedrooms and a den. This home is a must see!" 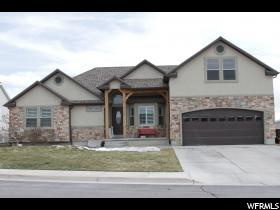 "You will love the beautiful tile and granite finishes throughout this luxurious home. More than 2100 sq. feet on main, with 1150 in half basement. This home includes all the upgrades with granite in the kitchen, a commercial sized refrigerator-freezer, travertine and wood floors, two jetted tubs, and a huge walk-in shower. Save money with the wood burning stove that heats through the central heating ducts as secondary heat. You will love the outdoor bricked, gas fire pit, over-sized two car garage, storage shed, grape vines, and raised flower beds, You will find amazing storage in this home with a large storage room with lots of shelves as well as a a large mechanical room with additional shelves for storage. One share of Nephi Irrigation Water to be included with this sale. Square footage figures are provided as a courtesy estimate only and were obtained from County Records. Buyer is advised to obtain an independent measurement." "Priority Homes newest plan is open and inviting. With the mudroom and laundry located directly off of the garage and a covered porch out front, this plan is unique and boasts a spacious living room as well as a beautiful West facing breakfast nook." "Great value! 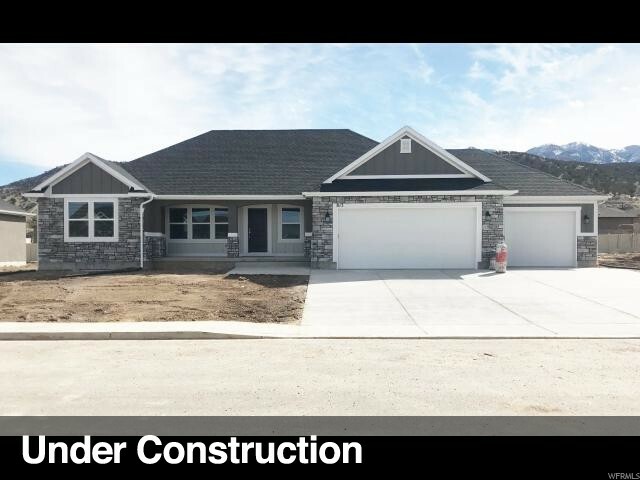 Couldn't come close to building this quality home at this price. Large kitchen and dining area (tile) that opens to covered patio. Tile laundry/mud room with bathroom and shower. Master bedroom on main floor. Downstairs has 2 bedrooms, full and a 3/4 bath, family room, storage, walk in vault with real vault door, kitchenette and many extras. 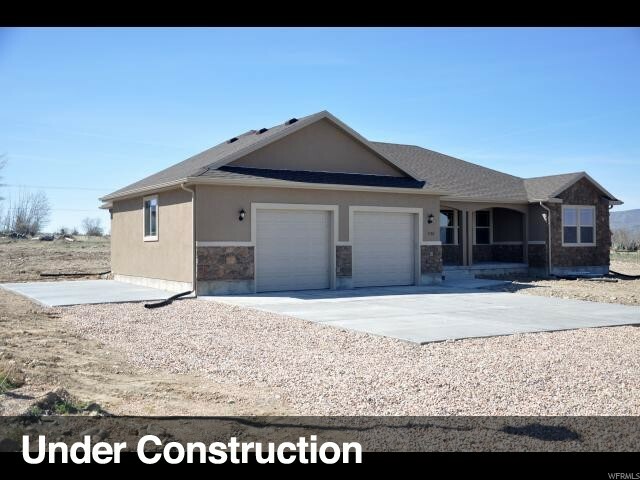 Come and see this awesome home!" "This home has a beautiful open design with the master suite private from the other bedrooms - a spacious walk in closet and master bathroom. The 3 car garage is a great feature of the ALEX plan. This home has so much personality and an updated exterior that gives that new, fresh look." 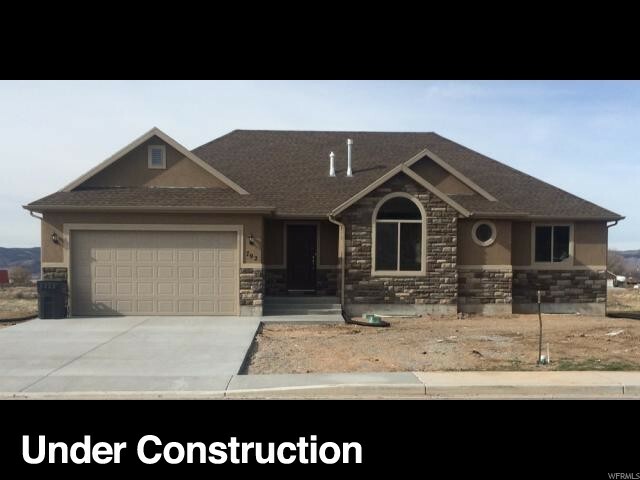 "The Florence plan has beautiful curb appeal with an extra large porch and clean lines. The interior is well-designed and feels bright and spacious. This home has everything you need including a master suite private from the other bedrooms." "The plan is open, spacious, and flows perfectly. The wide entryway and vaulted ceilings give this home a stunning first impression. The kitchen is gorgeous, fully functional and comes standard with stainless steel appliances and granite countertops! " "Open, spacious and perfect flow. The wide entryway, beautiful staircase railing and vaulted ceilings give this home a stunning first impression. The kitchen is gorgeous and comes with standard stainless steel appliances and granite countertops. " "PRICE REDUCED!! GREAT HOME WITH GREAT LOCATION! ACROSS THE STREET FROM JUAB HIGH SCHOOL AND JR. HIGH. NEW CARPET THROUGHOUT THE MAIN LEVEL! WELL KEPT AND READY TO MOVE IN! JETTED TUB IN MASTER BATHROOM. BASEMENT IS 100% FINISHED. NEW SHOWER IN BATHROOM. LARGE FAMILY LIVING ROOM AND THREE BEDROOMS. LOTS OF ROOM TO ENJOY. 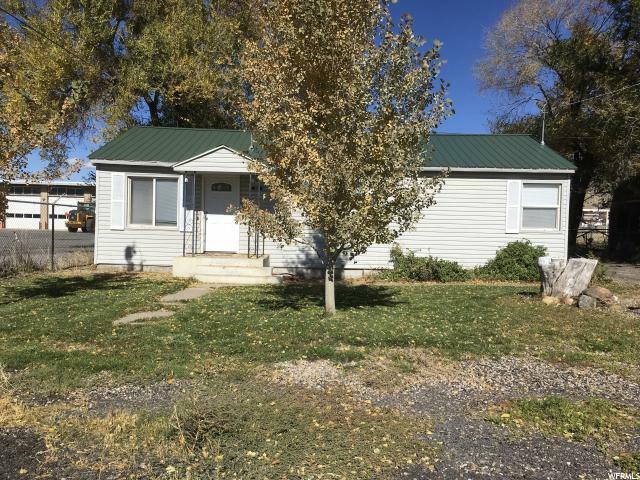 HOME WARRANTY AND SHEDS INCLUDED. COME TAKE A LOOK!!" "One of our most popular designs. The Ashlin plan is also one of the most affordable houses we build. The beautiful roof lines create a stunning exterior appearance. This home is open, yet cozy. With an unfinished basement there is plenty of room to grow." "CONTRACT FAILED! 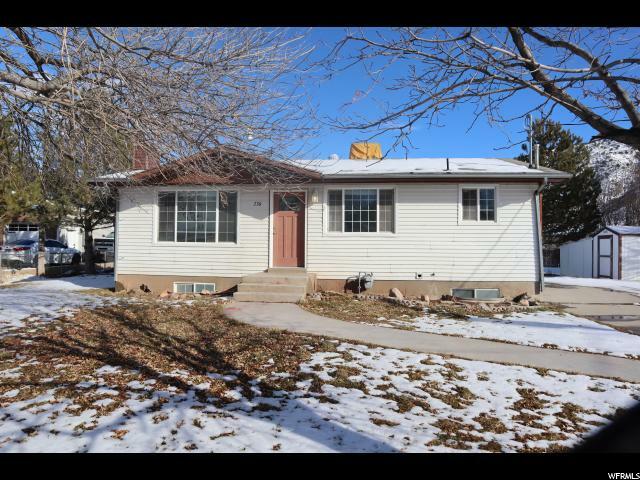 ONE LEVEL LIVING - CUTE UPDATED TWO BEDROOM HOME WITH NICE SIZED LAUNDRY ROOM AND DETACHED GARAGE AND STORAGE SHEDS. FENCED BACKYARD LOCATED ON QUIET STREET. YEAR OLD METAL ROOF ON HOME. OWN YOUR OWN HOME SWEET HOME!! "